John Murray First Edition 1981. 235 pages, photographic endpapers and well illustrated with photographs. 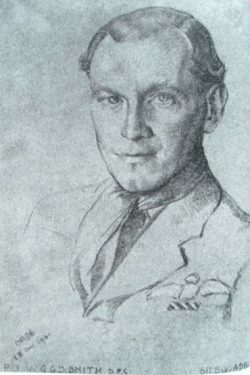 Duncan Smith (‘Smithy’), flew and led fighter missions almost continuously from the Battle of Britain through the struggle for Malta, the invasion of Italy and the liberation of France. He was an ace with at least 17 victories. 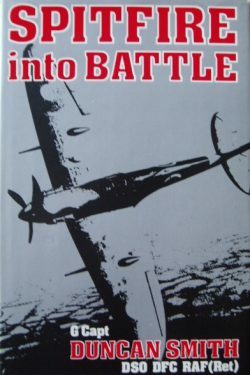 Jeffrey Quill called him “One of the greatest British fighter pilots and fighter leaders of the Second World War”. He died in 1996. 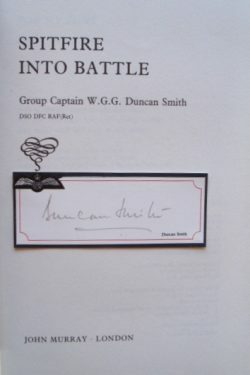 A great book with a neat and scarce signature.